Federal Finance Minister Jim Flaherty said Friday his government would not block any foreign takeover of Research In Motion, saying that "they will be the masters of their own destiny." Ottawa did intervene to stop a bid by Australian mining giant BHP Billiton for Potash Corp. of Saskatchewan in late 2010 following stiff opposition by Saskatchewan Premier Brad Wall, several other provinces and by PotashCorp itself. "We would like RIM obviously to be successful as a Canadian company, which it has been — a very innovative and successful company," Flaherty said. On Thursday, CEO Thorsten Heins said the Waterloo, Ont.-based BlackBerry maker would embark on a strategic review. The company will increase its focus on business users and retreat from trying to develop consumer services on its own, he said. Instead, it will rely on partnerships with other companies to do that. While Heins said one option under the review would be to sell the company, that is not the "main direction" now. Analysts have speculated Microsoft, Nokia, Amazon, Dell or Hewlett Packard could be interested. But any sale would be subject to intense scrutiny by the U.S. government, given the Defence Department’s critical reliance on RIM’s secure encryption system. RIM shares rose in trading Friday as investors weighed the odds that the new strategy will succeed. Its stock gained 94 cents, or seven per cent, to close at $14.63 on the Toronto Stock Exchange. The question raised by RIM's new direction is how well it can respond to the growing trend where corporate employers, rather than business IT departments, decide what devices a company will use. Heins admitted that the firm was "late" to acknowledge that trend. National Bank Financial analyst Kris Thompson said RIM's move could be risky. "Our view is that RIM is once again focusing on its enterprise roots, which is not the fastest-growing market," Thompson wrote in a research note. William Blair analyst Anil Doradla backed his "market perform" rating for RIM, saying it could take several quarters or even years for the company's overhaul to take shape. "We believe RIM will be playing catch-up for the next year or more, and is subject to further share loss, subscriber churn, pricing pressure, and margin pressure," Doradla wrote in a note to investors. "In our view, believing in the potential solutions requires a leap of faith that we are not willing to make." Evercore Partners analyst Alkesh Shah had a more positive view, suggesting RIM could become a specialized company that doesn't compete head-on with Apple or Android devices in the consumer market. "It will be more software- and services-focused," Shah said from New York. "Ultimately, what I think RIM ends up doing is becoming a smaller company," Shah said, "but they could potentially be an incredibly profitable company as they become a part of many of the devices and smartphone tablets that are sold around the world." Shah said RIM could license its popular texting service, BlackBerry Messenger, and its encryption technology that gives its BlackBerrys security, he said. "Who do you think of when you think of secure communication? You think of BlackBerrys and RIM." RIM could also help companies manage their networks to allow employees to use iPhones and Android smartphones in the workplace without security fears, Shah added. The company, which has watched its sales slow in the face of intense competition from Apple and Google, on Thursday reported a loss of $125 million US in its fourth quarter as it re-priced the value of its assets lower by $355-million. RIM has been counting on improvements with its forthcoming BlackBerry 10 system, but that has faced multiple delays. BlackBerrys also lag iPhones or Android phones when it comes to running third-party applications. Touch-screen models that lack physical keyboards have largely flopped. 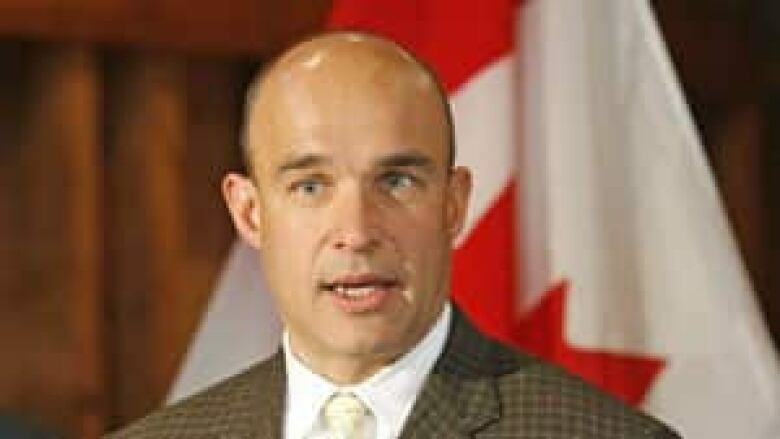 Heins took over as chief executive in January from former co-CEOs Jim Balsillie and Mike Lazaridis, and on Thursday the company announced Balsillie is severing his final tie to RIM and resigning from its board of directors. David Yach, chief technology officer for software, and Jim Rowan, chief operating officer for global operations, also are leaving. Heins told analysts during a conference call that "it's now very clear to me that substantial change is what RIM needs," a stark contrast to comments in January, when he said he did not see the need for "drastic" changes. Excluding one-time charges, RIM reported an adjusted profit of $418 million or 80 cents per share. Revenue fell to $4.2 billion, down from $5.6 billion a year earlier.